Last Updated: August 13, 2015 | Subscribe to our weekly newsletter! Everyone deserves a vacation every now and then, but if you’re a hot tub owner, you may be a little hesitant to take off and leave your hot tub unattended for an extended period of time. That’s understandable. After all, you have worked hard to get that hot tub and make sure it’s properly cared for every day. Because of that hard work, you, your family and your friends have been able to enjoy a nice warm soak in the hot tub all year long. Luckily, it isn’t hard to take care of your hot tub while you are on vacation. With just a little bit of extra work before you head out of town, you can sit back and enjoy your trip without worrying how your hot tub will handle being ignored for a week or more. What you need to do before you head out of town largely depends on the type of weather you are having in your area and whether or not your hot tub makes it home indoors or outdoors. For example, in warmer weather, you may not have to worry about keeping your hot tub running while you are out of town, but algae growth may be more a problem. If it is cold outside, algae will be the least of your worries as you will have to make sure the water and pipes don’t freeze while you are away. Let’s take a look at what you need to do in both types of weather so your hot tub remains in tip top shape even while you are off enjoying your vacation with friends or family. During the warm months, you often have to keep a close watch on the algae growth in your hot tub. This means adding shock to the hot tub whenever you need to increase the levels of chlorine in your hot tub to kill off any potential algae growth. Before you go out of town, go ahead and add a little extra shock to your hot tub and allow the jets to run for thirty minutes to ensure that the shock has reached all of the water. Once that is complete, turn off the jets and go ahead and turn off the heater and the pump as well. If you want, go to the breaker and turn off the power at the source and lock it, if necessary, to make sure no one can mess with it while you are gone. During those colder months, your concerns are a little different. When I say colder, I mean when the temperatures could drop below freezing during the day and even at night. Depending on the time of year, your daytime temperatures could be rather pleasant while the nights can still be cold. This largely depends on where you live. No matter when it happens, if the outside temperatures drop below freezing, the water in your hot tub and the plumbing for your hot tub is at risk for freezing. Before you head out of town, add water to your hot tub if necessary and be sure it is properly heated. Remember, the colder it is, the faster the heat will escape. Once you have it heated properly, go ahead and turn the thermostat down about ten degrees. This will save you on your heating bills while still keeping the water warm enough so it won’t freeze. While you are gone, you will need to leave the pump and the heater on long enough to maintain these temperatures to be sure the water does not freeze. In addition to these specific tips for both warm and cold weather, there are a few things you should do regardless of what the temperature is outside. Before you go out of town, always test the water to be sure you have the proper water balance. If you don’t, go ahead and add the appropriate chemicals to either increase the acidity or the alkalinity of your water chemistry. This will help you maintain the hot tub and keep your plumbing in the best possible shape while you are away. Never go out of town without closing and locking your hot tub cover. Keep in mind that no one will be at home while you are away and that means that kids could wander onto your property and go for a dip without you ever knowing. If something were to happen, you could still be held liable. So close that cover and lock it tight before you set one foot out of your front door. Owning a hot tub should never be a tether keeping you home when you could be off enjoying life. Never be afraid to take a vacation that takes you out of town away from your hot tub. Just remember to perform a little extra maintenance on it before you go and be sure you set the hot tub for the temperature that it is in your area, and you shouldn’t have anything to worry about. So get out there and enjoy life and quit worrying about your hot tub. Trust me, as long as you perform the proper maintenance before you leave and check it when you get home, your hot tub should be just fine while you are away. 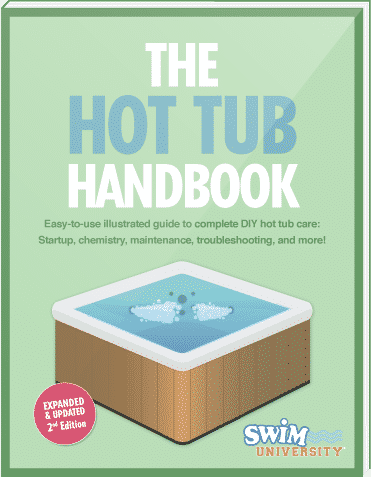 The number one question before you buy a spa is, how much does it cost to run a hot tub? Learn the factors to take into account to answer that question.